Little People is one of my all-time favorite brands. I played with Little People as a child, and my parents still have our Little People camper, houseboat, house, schoolbus and farm play sets. They are somewhat faded, and I'm sure a few chairs and tables and chickens have gotten lost along the way, but they have truly stood the test of time. Out of all our childhood toys, they kept the Little People, and every time we travel to the Philippines, I get the warm and fuzzies watching my kids play with Butch and Penelope nd Clarabelle the Cow (yes, we named all our Little People). If you have a little person of your own, chances are he or she is a Little People fan, and chances are you'll want to hear about a great new contest that Fisher Price is launching. Parents can submit a video of their child making an animal sound for the chance to win a $10,000 cash prize and a trip to Fisher-Price headquarters in East Aurora, NY for a photo shoot. Fisher-Price is launching a contest of animal proportions today with help from celebrity zoologist and children’s television show host, Jarod Miller. Appropriately named the Little People™ Animal Sounds Contest, the contest calls on parents to submit a video of their child demonstrating his or her best roar, grrrr or squawk (oh my!) for the chance to win a $10,000 cash prize and a trip to Fisher-Price headquarters in East Aurora , N.Y. (for a special photo shoot and an opportunity to have their child featured on a Little People® toy package or website). The Animal Sounds contest runs Aug. 1, 2011 through 11:59 p.m. ET on Nov. 30, 2011. In addition to the Grand Prize winner, ten First Prize winners will receive a Zoo Talkers toy prize pack. All successful submissions will be entered for a chance to win one of 100 Zoo Talkers Safari Trucks in the Animal Sounds Sweepstakes. For more information and complete contest rules, visit the Animal Sounds Contest website at www.animalsounds.fisher-price.com. 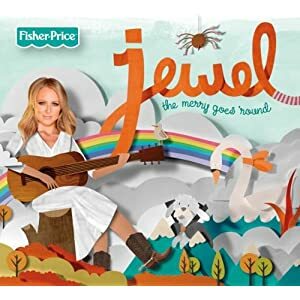 I picked up a couple of kids' music cd's from Fisher Price at BlogHer, and to celebrate one of my favorite brands, I'm giving them away here! Leave a comment on this post and share your own Little People memory, or tell me your child's favorite Little People playset. 2) Blog about this giveaway, making sure you include a link to the giveaway (http://bonggafinds.blogspot.com/2011/08/little-people-music-cd-giveaway.html) in your blog post (1 entry). This giveaway ends at 11:59PM PST on August 22, 2011; I will draw two winners at random on August 23 and post their names after they confirm acceptance. Continental US residents only. For additional giveaway rules, click here. Good luck! Disclosure: The cd's I am giving away were given to BlogHer conference attendees free of charge. Contest information is provided by Little People and is indicated in italics. The views and opinions expressed here are my own. My daughter had a bus for them when she was just starting to potty train. Well, she was so busy playing that she decided she would just use the bathroom in that bus rather than take the time to go to the toilet. Lol. It's not something I will forget. FB refuses to let me post links on your wall nor will it let me post on my wall and tag you. Ugh. So I am writing the first part on your wall and putting the whole thing with the link on my wall. I hope that counts. Follow and tweeted the other tweet as well. We have an older version of the little people farm from 1998 or 1999 that was my teenagers and it came with a mommy and baby of each animal and that has been a favorite toy for all of my kids. It is one of the few toys that has had almost daily use for the past 12 years and with all four kids. We had an airplane that was so much fun and now our kids play with it at the grandparent's house! MANDATORY ENTRY: My daughter's FAVORITE Little People playset is their Farm set. 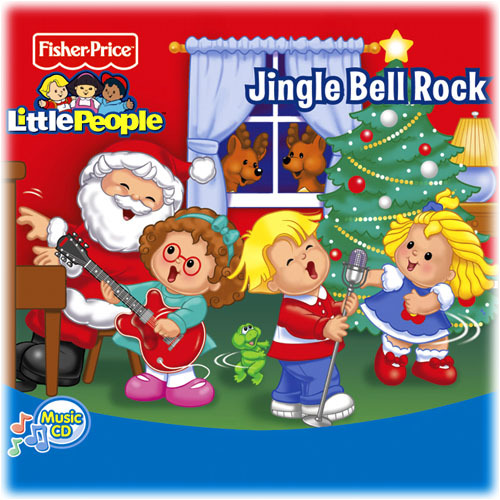 Congratulations to commenter #10, Shelly, who won the Little People holiday cd, and commenter #4, lewalk, who won the Jewel cd!